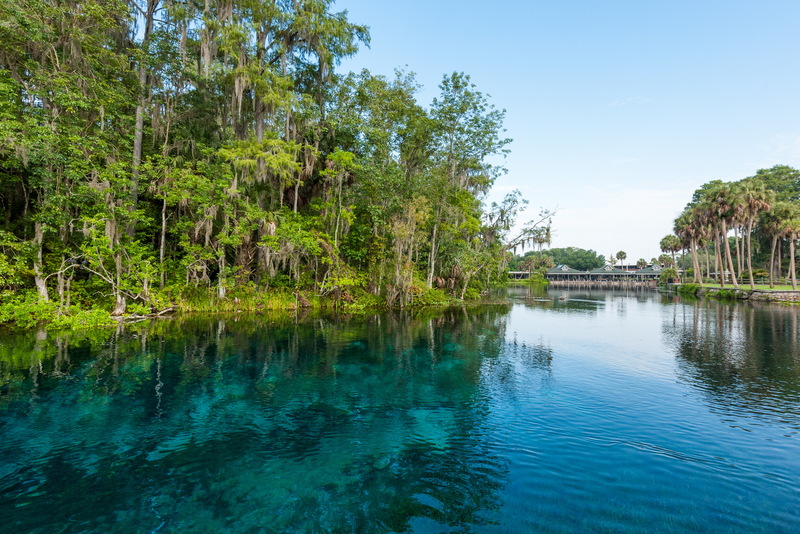 Florida has one of the largest concentrations of freshwater springs on Earth, with more than 700 springs within its boundaries. There are 148 known springs within the St. Johns River Water Management District. Of those, 96 springs have been documented and are described in this section of the district’s website. Some springs are made up of several spring vents, such as the 30 that make up Silver Springs, and are not described separately. As water levels rise and fall over time, new springs are discovered and reported to the district, however details have not yet been completed for publishing, which accounts for the number of known springs and those described here. 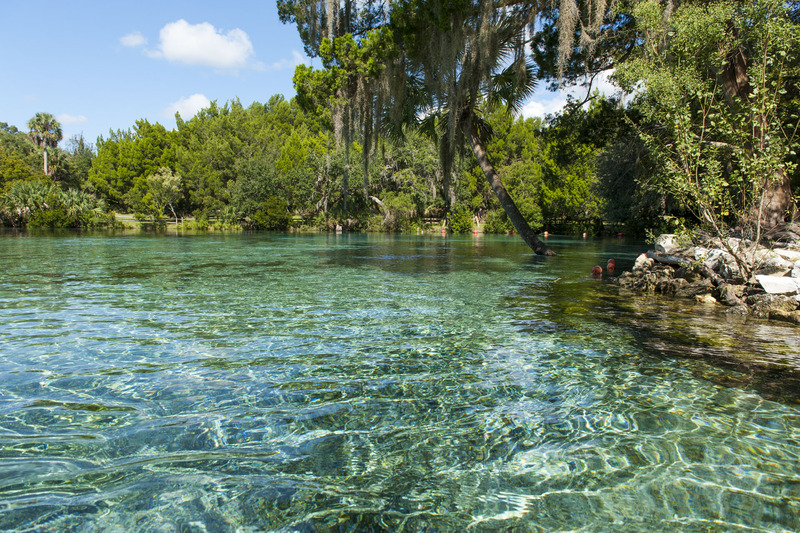 Springs provide natural, recreational and economic benefits for Florida’s residents and visitors. 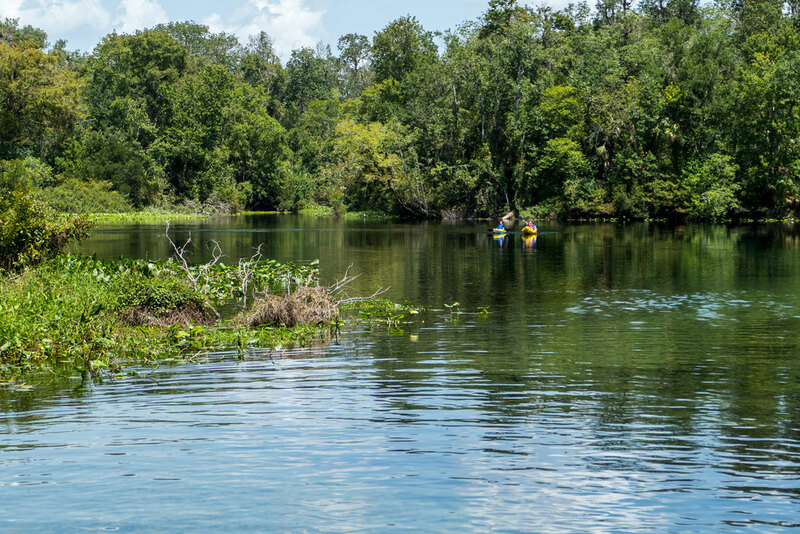 The crystal-clear water from springs supplies the base flow for many rivers and streams and the habitat for wildlife and fish, including manatees, alligators, limpkins, herons and turtles. 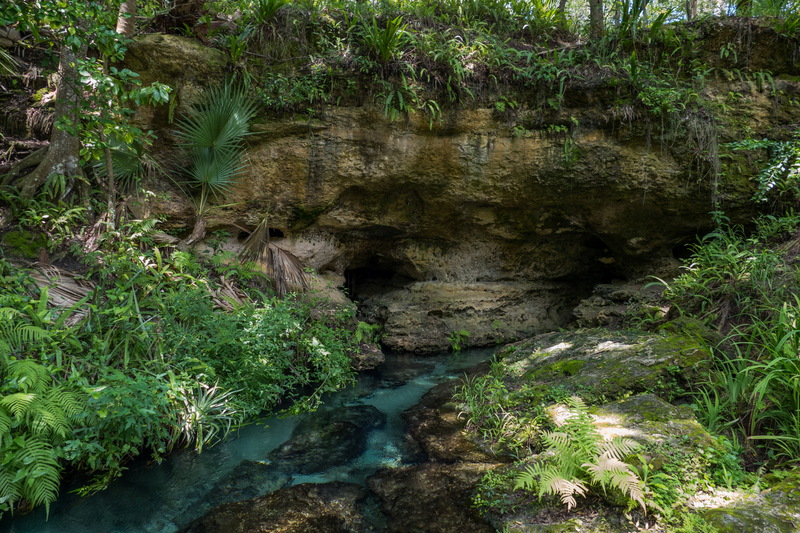 Springs provide a “window” into the aquifer, allowing for a measure of the health of the Floridan aquifer system. 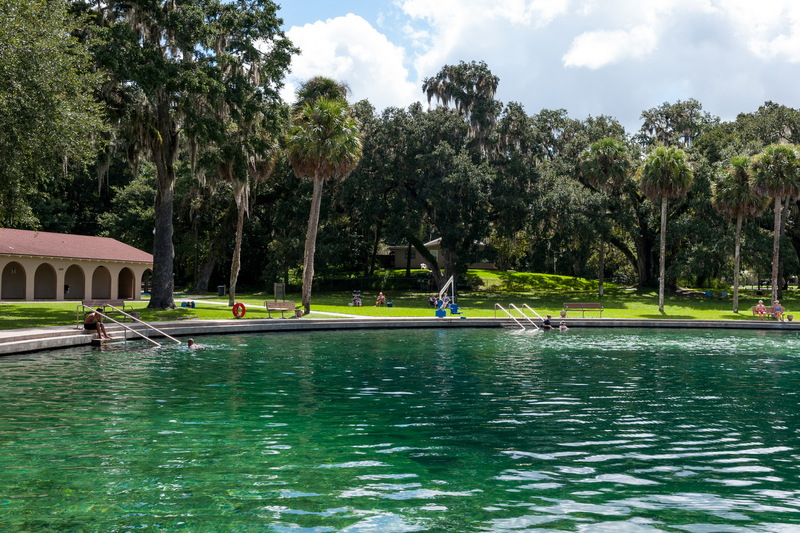 Springs are the setting for numerous recreational activities, and Florida’s springs and attractions are a multi-million-dollar industry in Florida. Over the years, Florida’s population has grown from approximately two million in 1940 to more than 19 million in 2011. With this growth has come an increase in water use and extensive land use changes. Land development that occurred decades ago, before more stringent regulatory controls were put in place, may still impact many springs’ water quality today. 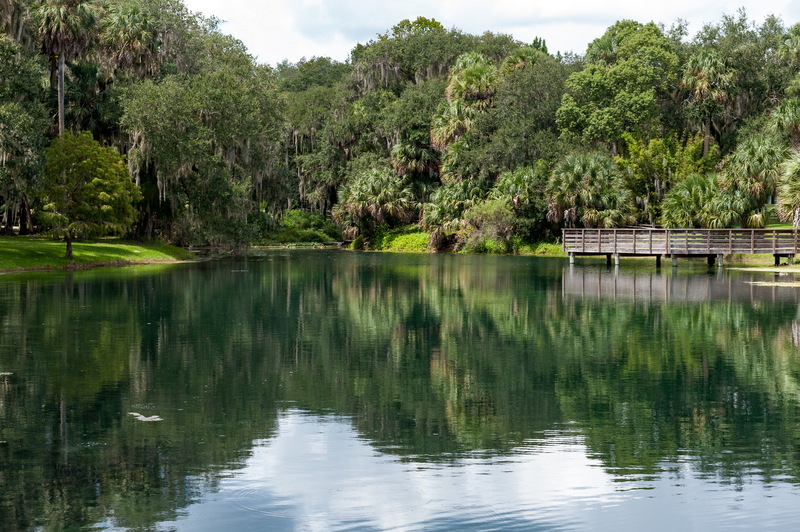 Spring flow is closely tied to rainfall, and record low rainfall over the past decade in many areas of Florida caused many springs to experience reductions in flow from historic levels. At the same time, many springs also experienced changes in their ecology, such as increased algal growth, declines in native submersed aquatic vegetation, increases in nonnative or exotic vegetation, and lower fish abundance. Recreation concentrated in springs and their downstream spring runs has caused physical damage as visitors impact springs by damaging vegetation in and around the springs and by discarding trash carelessly. Swimming, snorkeling and tubing in spring runs can cause water to be cloudy, or turbid, which prevents sunlight from reaching underwater grasses. Water quality also has declined as the residential and commercial use of fertilizers and wastewater from treatment plants and septic tanks has increased in the state’s springsheds. 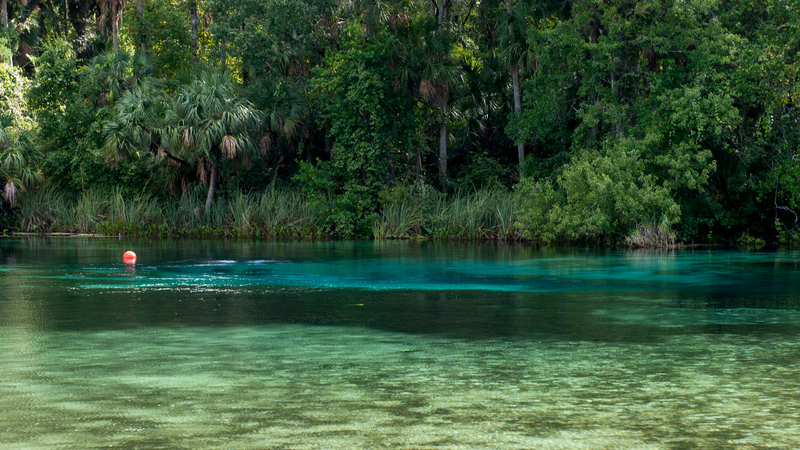 The numerous threats to Florida’s springs are complex. The challenge is finding the right balance between environmental protection and enjoyment of a precious, natural resource. Steps to reduce pollution and groundwater usage and minimize other impacts on the springs are at the heart of many projects and initiatives now under way. 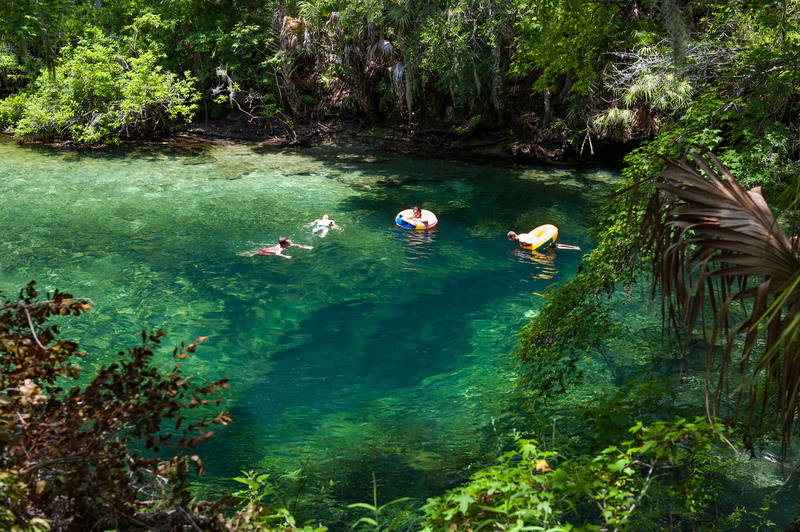 The state of Florida has made protection of Florida’s springs one of its highest environmental priorities. The district is partnering in the priority, pursuing protection and restoration of springs through a comprehensive Springs Protection Initiative that includes scientific research, restoration projects, water use regulation, water supply planning and stakeholder outreach. A better understanding of north and east-central Florida’s spring systems will provide a stronger basis for their protection. The district seeks to improve the scientific foundation for management of nitrate loadings and other critical factors that may be adversely affecting spring ecosystems. Scientific findings and models will be available for future regulatory programs, setting minimum flows and levels, water supply planning, and the development of basin management action plans. Spring restoration projects in the Initiative may include reuse projects that offset groundwater withdrawals, wastewater relocation projects and wastewater treatment plant upgrades in critical locations, and stormwater treatment projects and/or upgrades in key areas.